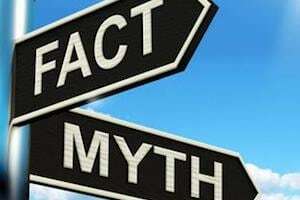 There are many myths about Family Law in Texas. We receive questions on divorce, child custody, child support and other areas of family law. At our law firm in Rockwall, we have a team of attorney’s experienced in family law. With over 13 years of experience, hundreds of family law cases and over 200 bench trials, The Goodman Law Firm can help you achieve the best possible outcome for your case. FALSE – If either spouse resided in Texas for at least six months prior to the filing of the divorce, Texas courts have jurisdiction over the divorce action. FALSE – It is specifically written in the law that a court should not consider a parent’s gender when deciding on child custody. The judge must determine what is in the best interest for the child. FALSE – A child support order remains in effect until a child graduates from high school or turns 18, whichever occurs first. At 18, the support term is terminated automatically unless one of the parties files notice with the court that the child has not graduated from high school. FALSE – The obligor must pay child support as long as the order is in place. The obligor may seek to modify the terms of the child support order based upon the loss of a job or underemployment. If the court determines the obligor is intentionally unemployed or underemployed the court can apply the support guidelines to the earning potential of the obligor. FALSE – Texas courts do not recognize legal separation. The laws relating to community property continue to apply to married people, even if they are physically separated, until the date of divorce. Family Law can be overwhelming and hard to understand. If you are going through divorce, child custody, child support or any other area of family law, contact us today. We offer a free consultation regarding your case.